Mombasa County is the least in geographical size among the 47 counties and peculiar in its own kind. According to the County land and housing minister, the City’s strategic position and prances of the port made it attractive to both business and job seekers. 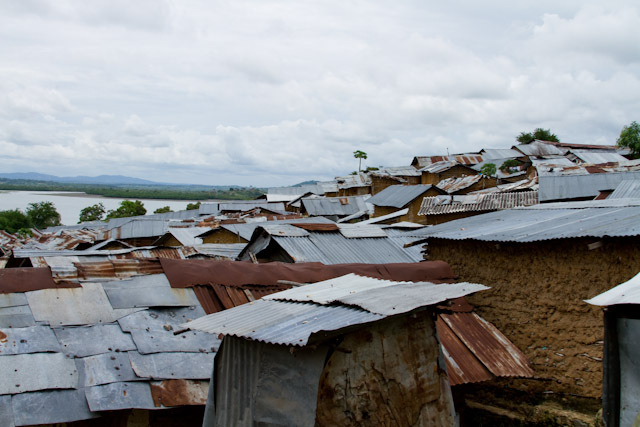 As it stands now, 65% of the county’s population is made up of informal settlements (slums) while the constitution obligate the county to plan its development which include land survey and mapping, boundary and fencing. It is in this regards that the county is currently planning to develop a strategic plan and zoning as a way of bringing order and planning its development. The county acknowledges that in the past, city plans were pro-rich hence leaving the poor at their own mercy. Mr. Paul Manyala, the County Planner attributed the old kind of planning as a major contributor to the increasing number of the informal settlements. To curb the situation, he urged a pro poor planning model that would take the plight of the poor into consideration. As a way out, he proposed Muungano wa Wanavijiji to represent the poor in the county planning and zoning process which has begun as a partner in the process. He acknowledge peculiar innovations and models like the vertical housing and community saving schemes which are used as tools for mediation and subsequent land buying for informal settlers living on private land. To attain order, Mr., Manyala has shared with the county intentions to legalize some of informal settlements that are on government land and also asked that Muungano to help in organizing communities living on private land. The county is also planning to expand the county by providing services in other areas that haven’t attracted a lot of people due to lack of proper services. “For me, Including Muungano into the processes is a long awaited call that is justified by all dimensions. If implemented, the process shall have embraced the architecture of the constitution that requires citizen participation in any development project that will affect their lives.”-Paul Manyala. In the spirit of constitutionalism, the county acknowledges their limitation and opted for a working relationship with Muungano that is formed based on potentials to represent the plight of the wider poor constituency that constitute 65% of the entire county. The government has set a target of settling 100,000 by 2017 and 20,000 immediately and for them to realize that Mr. Manyala embraced Muungano theory of change that will see the county embracing vertical housing and settling more people with the little available resources rather than the horizontal housing which he considered will waste the little available land. Muungano wa Wanavijiji is currently using the KNOW YOUR CITY approach which will inform the county and other stakeholders on the status thus inform the kind of decision that the county and other stakeholder will take. She also added that the process will update the county status as far as settlements are concerned. The county is interested in an all inclusive approach and requested an exchange opportunity to know how such would work. The engagement meeting proposed an exchange to Nairobi Kambi Moto for the purpose of vertical housing model and the idea of consolidating the community saving to secure land tenure for the people living on a private land through a mediation process. To realize the dream, the County Executive on Land and Planning, Hon. Francis Thoya called on Muungano wa Wanavijiji to support the county on mobilisation and public awareness which he acknowledges the county cannot sustain due to budgetary constraints and capacity challenges but also requested that people may get the opportunity to see the ideas and how they worked before they finally come to agree with them. He noted that public awareness will address problems expected during the implementation of major development projects like standard gauge railways. He emphasized that Muungano and other stakeholders would play a great deal in educating the public and working together with the county. The meeting therefore agreed to form a working relation formalized by a memorandum of understanding to guide the work and explain roles while also suggested Bombo Maziwa Mawili and Matopeni to be considered for organizing and planning respectively. The meeting suggested an exchange for both the government officials and community members so that they can learn new ideas before they embrace them. The meeting also agreed on a work plan running from 28th August 2014 to February 2015. exercise for the whole county to validate the settlements status by use of knows your city approach.